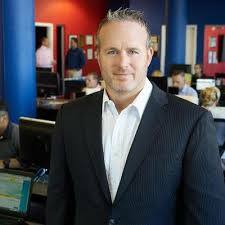 Lance Bachmann is the Founder and President of 1SEO.com Digital Agency, a full-service global digital marketing firm based in the Philadelphia, PA area. Bachmann and his team of over 100 digital marketers provide end-to-end solutions for their clientele with a full suite of services like search engine optimization (SEO), pay per click (PPC), social media optimization (SMO), website design, content development and email marketing. Bachmann and 1SEO.com cultivate an online presence for their clients to harvest leads, closes, conversions and profits. Bachmann has an extensive resume when it comes to speaking experience and has spoken at some of the best events in the digital marketing sphere, including Pubcon, the JD Power Automotive Marketing Roundtable, Affiliate Summit, and Ungagged. Bachmann and his team of over 100 digital marketers provide end-to-end solutions for their clientele, which is comprised of hundreds of businesses in countless industries from the niche to the mainstream. Bachmann and 1SEO.com have accumulated numerous awards and other accolades for their efforts. In just 9 years, Lance Bachmann has become renowned for his expertise and he is regarded as one of the leaders in the digital marketing space because of the results his agency produces for their clients.